Carey West is a dynamic vocalist who has leant her talents to several collaborations. She has built a reputation for energetic and heartfelt performances; whether leading her Jazz ensemble “Carey West and The Millionaires”, fronting Carribean Funk group “The Liquidaires” or easing in with alt-bluegrass group “The Jeremiahs”. Her exploits have led to many high profile performances including a live broadcast on CBC Radio One and appearances at Young and Dundas Square, Nathan Phillips Square, Harbourfront Centre and Roy Thompson Hall. She has also held several residencies at venerated venues such as The Rex Jazz Bar, The Cameron House, The Old York, and Mitzi’s sister. 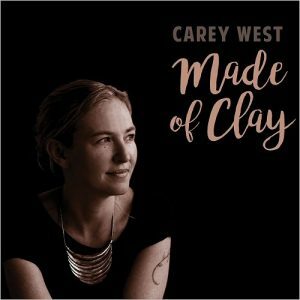 Her latest release of a Jazz “unStandards”album is titled “Made of Clay”. This is a carefully curated collection of songs featuring arrangements by pianist Marcel Aucoin and vocalist Rebecca Campbell was produced in partnership with Jeff Wilson. Carey West (vocals), Jeff Daniels (piano), Dave O’Neil (drums), Tyler Wagler (bass).